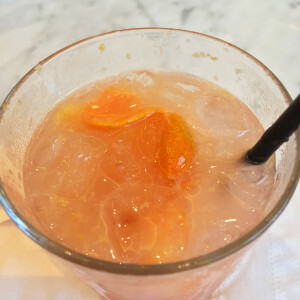 The Beverly Hills Mom » The kumquat cocktail at COMMISSARY – Although I didn’t go crazy photographing what I ate the weekend of #TEELive, I thought every single food and drink I tried at the LINE Hotel was really delicious and thoughtfully conceived. Roy Choi of the Korean Barbecue Truck fame is the Executive chef owner of two of the restaurants at the hotel. The kumquat cocktail at COMMISSARY – Although I didn’t go crazy photographing what I ate the weekend of #TEELive, I thought every single food and drink I tried at the LINE Hotel was really delicious and thoughtfully conceived. Roy Choi of the Korean Barbecue Truck fame is the Executive chef owner of two of the restaurants at the hotel.